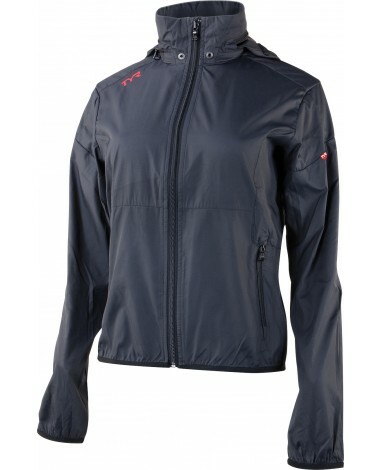 Engineered for TYR athletes, the Squall Jackets for women showcases 100% Polyester construction for lightweight, breathable performance. 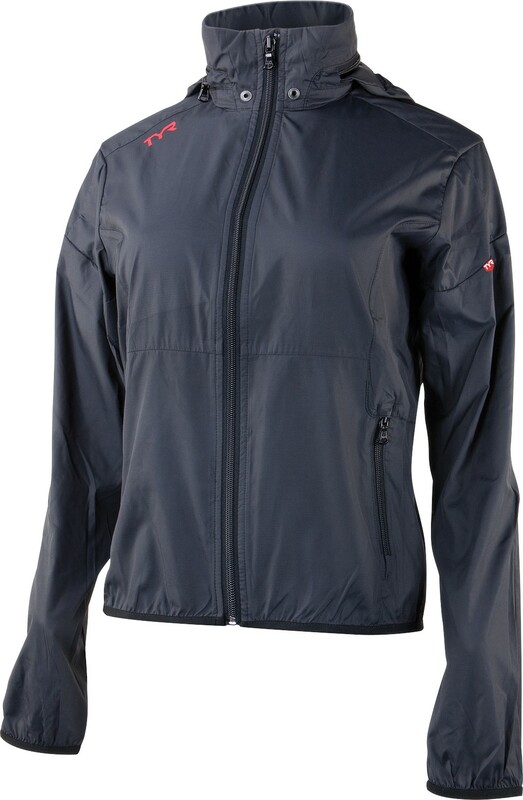 Featuring Wind/Water Resistant construction and a roll away hood, this women's jacket is the perfect go to piece when mother nature isn't on your side. Drainage Ports on the collar ensures dry use, while an elastic waist and wrist cuffs help block wind and cold air. Front zipper pockets allow for secure small storage and TYR logos authenticate performance. These are clothes inspired by the Raw Ambition of sport. For people who like making themselves stronger, faster, and more comfortable.